Home Study Hotel Management Courses! We are one of the best distance education schools in India in Hotel Management courses. We provide individual Home Study Courses for hospitality staff by distance learning to employees and supervisory staff currently employed in the tourism and hospitality industry who are seeking to upgrade their skills or seeking advancement into management positions. Hospitality covers enormous areas of operations, from top star restaurant groups and grand hotels to executive clubs, pubs and bars, cruise lines, industrial catering and guesthouses. But they all have one requirement in common that is customers who expect a highly professional degree of service. To achieve that, these businesses need managers, supervisors and trained and qualified staff who can steer them towards success, which means excellent employment and advancement opportunities for experienced individuals with added qualification. Our courses are a great starting point for developing skills, knowledge and opportunity in upcoming modern technology in Hotel Operations for those who are already in hospitality service, or for those who wants to start their career as hoteliers or to start their own business. Anyone can easily fit learning into their busy life with distance education courses. Without the traditional campus classroom or on-site teacher, one can learn wherever it is most convenient for them, including the comfort of their own home. Our courses are offered as online or as CD-based, DVD-based or paper-based distance with online support. Some of our courses are continuous intake, which means anyone can start at any time and have a set number of days to finish, giving you the ultimate in flexibility. With courses offered in a broad array of subject areas, one will find the distance learning opportunity that's right for them. Many people choose to study in the comfort of their own homes at their convenient time, but distance education gives everyone the flexibility to learn wherever and however it is most convenient for them. Provide a flexible approach that adapts to hotel employee's career goals and job opportunities. These courses help those who are looking for a new career or looking for uplift in their current position in the Hospitality Industry. Our School provide lot of practical sessions in coordination with our faculty members, and the theoretical subject is designed in simple understanding language to the students because they have to study individually at home. The students who are enrolled with our Home study courses can enjoy earning by working in Hotels along with learning. Our Students are at liberty to study at their leisure hours and not compelled or forced to complete the subject in scheduled time. These courses are less expensive compared to regular courses and they also save time and money and employees after working hours can relax at home and study peacefully. There are different courses for different areas of hotel operations. 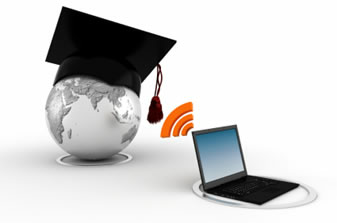 The students can choose the course related to their experience. The students can get high recognition and value by their supervisors/managers for their added subject knowledge in their field. MAA School of Hotel Management is dedicated to help you to quickly gain the education and skills you need to succeed in Hotel career. In just a few weeks, you could earn a diploma and be ready to put your skills to work in the hospitality industry as a working hotel staff. No time limit. No fixed study and learning hours!!! These Programs are built around a focused, hands-on, practical curriculum that systematically takes students through the essentials of a working atmosphere. There's no fluff here: the subjects and skills taught by our Faculty team are what restaurant managers, executive chefs, Room division managers want from their new staff members. Our aim is to help our students become immediately employable by giving them a solid grounding in the basics and many hours of hands-on practice. There is no better way to learn the craft and art than to practice it daily to perfection. Individual classroom education is limited and rotated with apprenticeship at Restaurants, Pizza Huts, Clubs and Resort Hotels. You will study individually with assigned Faculty in your chosen field either as fresh student or as working hotel employee. Study hours per week can be allotted as 12 hours per week and is not compulsory if industry demands you on work spot. But total hours of study will be given by your faculty at your convenient time intervals with the convenient time of your faculty. But finally faculty member should certify that your course was completed as per the schedule and syllabus given. This course is designed on proven star hotel training models - guided by expert and experienced top hotel executives of star hotels. Students should search internship placements in star hotels, motels, group restaurants and various food chains of international standards. This training is minimum 8 hours/a day for 12 weeks for fresh students. Already employed in hotels, this training is not necessary. The students are advised to do project work based on their experiences in academic and industrial work experience. This project will enhance the individual's creative aspect in the course selected by them. Each student should select a topic in their course and study it regularly by visiting various hospitality outlets to project the updated knowledge and prepare a project report and submit to their assigned faculty for certification and validation. The curriculum is designed by high standard hotel professionals to teach the basic skills and knowledge of hotel operations in various departments through theory by simple and easily understandable modules which are self-explanatory. This enables the student to study easily at home while they are at duty off hours. This will enrich the student with high knowledge art in hotel operations. Or Contact us today to find out how you can begin training for a career doing something you love.